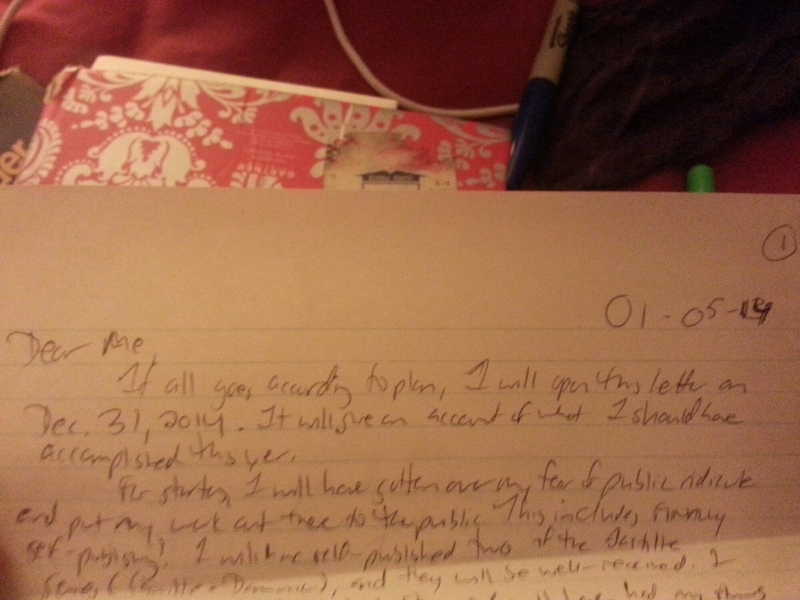 In 2013 (or rather, early 2014), I wrote a two-page letter to myself outlining what I wanted to accomplish in 2014. 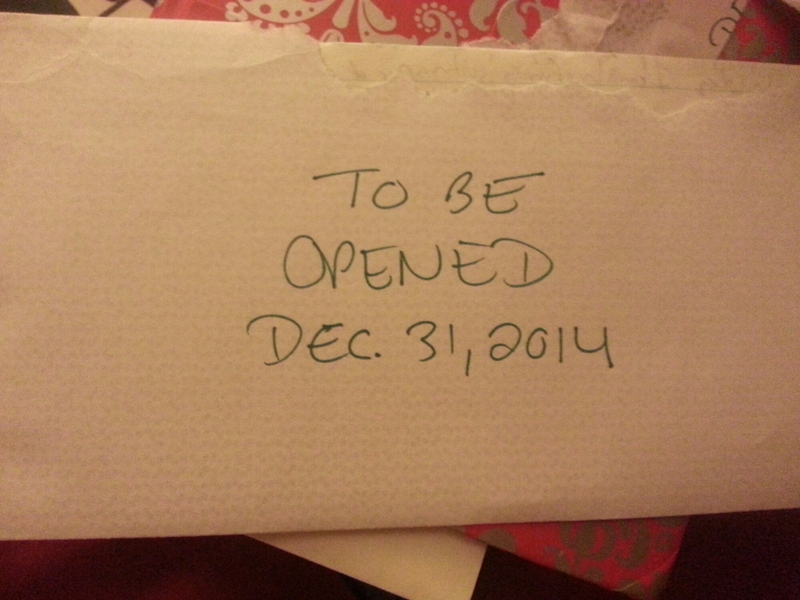 I sealed it in an envelope and wrote across the flap that I should not open until Dec. 31, 2014. Some things got accomplished, like self-publishing two books (although not the two books I’d envisioned), improving my health via more exercise, and paying down some debt. Others, like getting a beagle; finding (and keeping) my Mr. Right-For-Me; and meeting some of my favorite authors like Steven Barnes, Nikki Giovanni, and Marcus Samuelsson–not so much. As I read through the letter and alternately chuckled and grimaced at my stated goals, I noticed one thing: it was rather vague, overall. While I wrote in declarative sentences, I didn’t feel that same sense of confidence. The letter came across as a bit too “wish upon a star”-ish, instead of “let’s get this done”. Which brings me to reiteration of this point: you can wish and hope all you want, but you’d better be really clear on what you want to accomplish; roll up your sleeves and make it happen; and you’d better believe, deep down, that you will make it happen. When I wrote this 2013 letter, I was in a different head space. I’d just relocated from another state to help care for my ill mother & grandmother (who were more ill than they’d let on). I’d taken on a new position with a former company that granted more responsibility and, given the nature of the job, required a lot of hustle. I was now living in a place to which I had never planned on returning on a long-term basis, with a job in a company that had once only existed to me as a fond memory, to step into a caregiver role that I thought I’d finished when my other set of grandparents died over ten years ago. 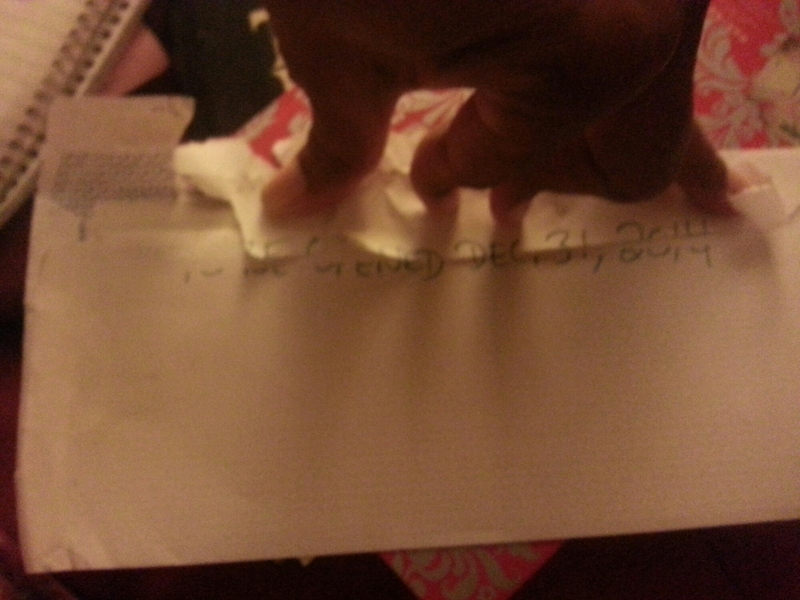 To say I was discombobulated was an understatement, and my “goals” letter reflected that undercurrent of uncertainty. This year, I got back to my practical roots and simply wrote three pages of a “to-do” list for 2015 (the pages were only 6″×9″–about the size of a large paperback book–and I wrote on one side of each page, lest you think I’m even more of an overachiever LOL). As I wrote, I felt a sense of confidence that was missing from last year’s letter. Perhaps because I had achieved personal/professional milestones. Perhaps because I became more confident in my craft, and finding new ways to navigate the seismic shift the industry is undergoing. Perhaps because I found tribes in the most unlikely places, where I can be both nurtured and challenged to be my best self, both personally and professionally. Perhaps the greatest thing I gained in 2014 was clarity, and I am forever grateful. Happy New Year, everyone. Let’s get it in the 1-5.